as well as providing the best possible experience for our patients through stress reduction, pain relief, and individualized treatment plans. Over 30 veterinarians and veterinary professionals provide a wealth of knowledge and personal service. 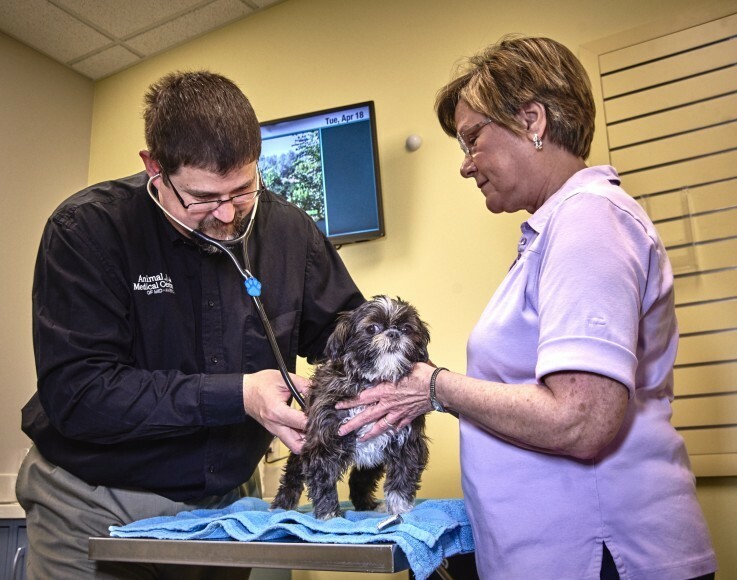 We are accredited by the American Animal Hospital Association (AAHA), the measure of excellence in veterinary care. Out of 35,000 veterinary hospitals in North America, just 3500 are AAHA-Accredited. AMCMA operates two of the only 16 non-profit AAHA-Accredited facilities. This distinction shows our commitment and desire to provide care above licensing standards and to meet the standards set forth by industry leaders, all while benefiting animals in need at the Humane Society of Missouri. The Humane Society of Missouri recently announced the permanent closing of the Chesterfield Valley location. You can still make an appointment with your favorite veterinarian at our Maryland Heights or St. Louis City locations. Drop-off appointments, an online pharmacy, and prescription food home deliveries are available! Read more here. 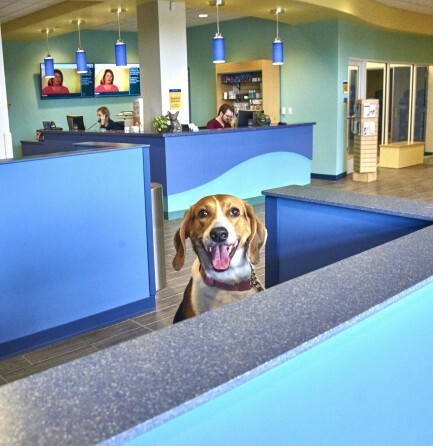 Paw-don our dust while we remodel our St. Louis City location's lobby! The front doors will remain locked during this time. Please follow the signs and enter to the right of our main doors. If you need assistance getting your pet inside, please call or text us at 314-805-7265. 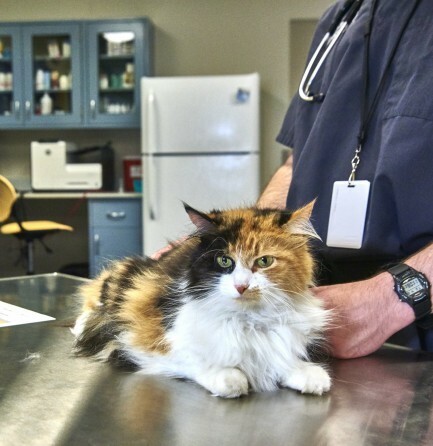 The Animal Medical Center of Mid-America is the largest provider of spay/neuter services in the Midwest, preforming more than 10,000 surgeries every year. Low-cost spay/neuter is available through donations and charitable grants. Save money and earn more cash back rewards with our wellness packages. They are tailored to your pet's needs and will give you the peace of mind knowing your pet is receiving the exact medical care they need.